This test is performed to confirm that the filter system is properly installed and that there is no damage to the filter itelf. The test also ensures that leaks or damage has not occurred during use. The test verifies the absence of any tears or holes in the filter or leakage around the seals or filter housing. The test is performed by introducing upstream of the filters, an aerosol challenge that has a specific particle size, and then carefully scanning the downstream side of the filters, seals and filter housing frame. The test is a leak test of the complete filter installation comprising the filter media, frame and gasket. 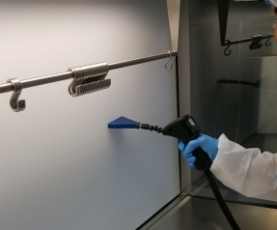 HEPA filter integrity testing is a critical part of certifying cleanrooms and containment devices such as microbiological/biological safety cabinets, isolators, and laminar flow hoods. 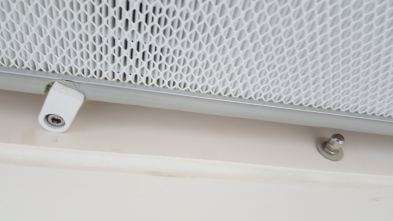 HEPA filters must be tested after any incident where the filter may have become dislodged or damaged and at least annually. 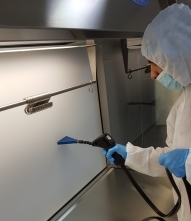 Only a proper HEPA filter integrity test will ensure that the filter is actually fitted correctly and is eliminating particles from your cleanroom or containment device. 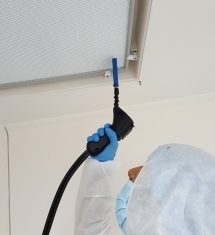 Contact us if you wish to enquire about our HEPA filter integrity testing services.